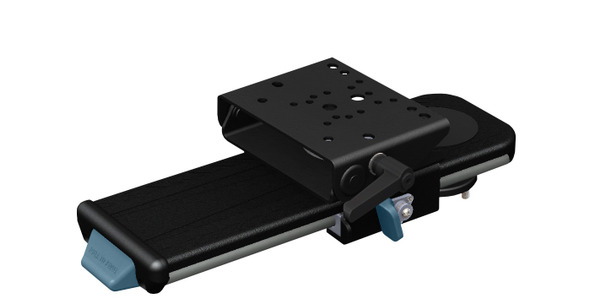 While law enforcement is traditionally slow to change, over the course of several decades patrol vehicles have certainly gone through many design updates, with regards to looks, technology, and safety. Here is a look back at law enforcement vehicles seen in the pages of POLICE Magazine 10, 20, and 30 years ago. 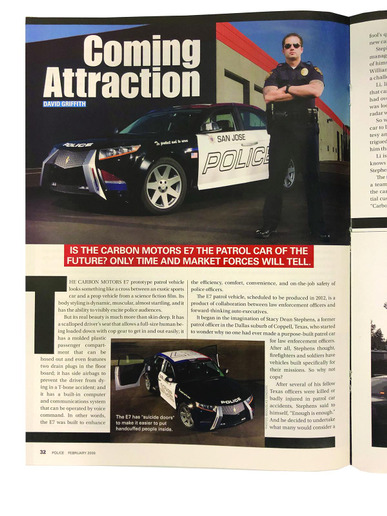 In February 2009, POLICE Magazine posed the question, "Is the Carbon Motors E7 the patrol car of the future?" and followed it with, "Only time and market forces will tell." At the time, the E7 from newcomer Carbon Motors was a prototype patrol vehicle that was scheduled to be produced in 2012. 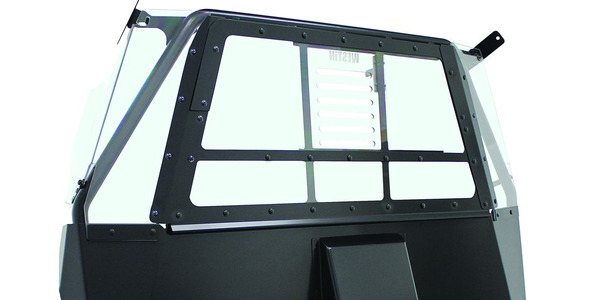 It was built from the ground up for law enforcement officers and included features such as "suicide doors" to make loading cuffed subjects into the back easier, a molded plastic passenger compartment made to be hosed down, and a built-in computer and communications system operated by voice. Its body was constructed of "tough pre-colored plastic panels." But we now know that the Carbon Motors patrol vehicle never actually arrived. 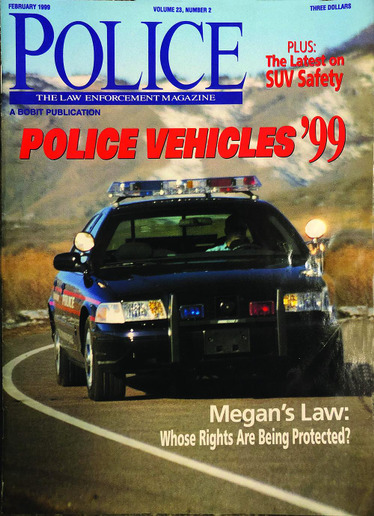 Coverage of the many law enforcement vehicles being introduced in 1999 included a look at still-popular sedans as well as SUVs, which were just beginning to be accepted as police vehicles. "Ford's Crown Victoria remains the lone full-sized, rear-wheel drive cruiser for police duty," the article began. The Chevrolet Lumina was in its last year of production, before giving way to the Impala for law enforcement. 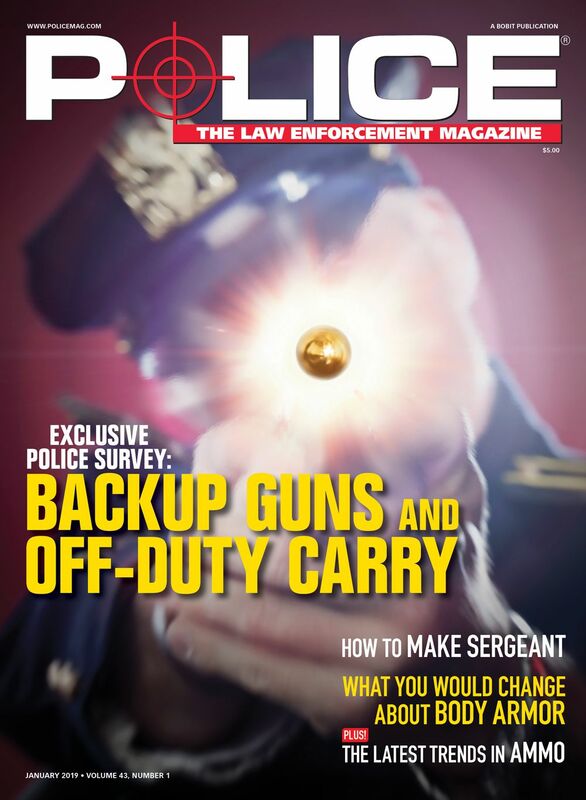 A related article in the issue details the features of the year's Daimler-Chrysler Jeep Cherokee and Subaru Outback SSV for law enforcement. 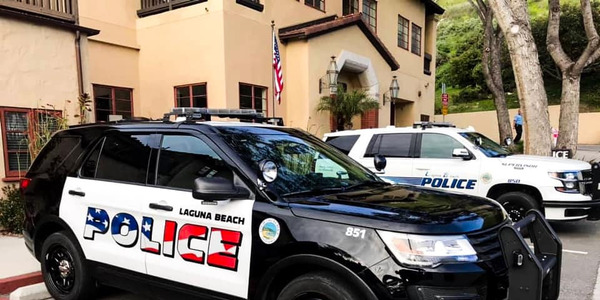 Another section discusses the growing popularity of SUVs and what role they play in law enforcement, with manufacturers stating that they were not designed or intended to be used as pursuit vehicles. My how times have changed. Back in 1989, officers were already talking wistfully about the "big, boxy, and authoritative" police cruiser that was becoming just a memory. 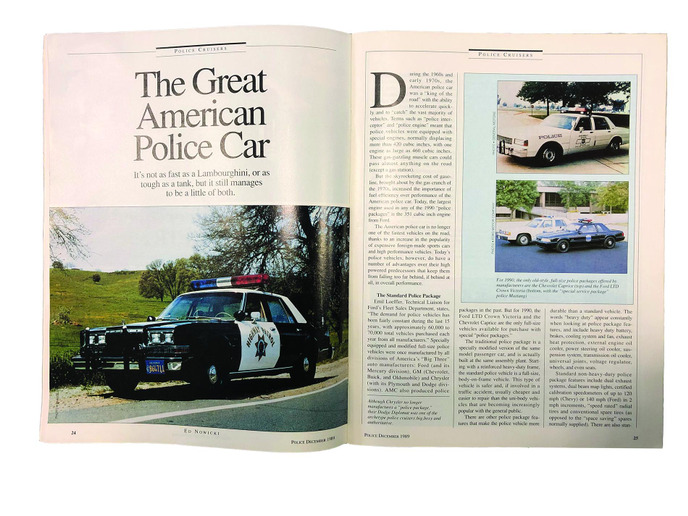 "It's not as fast as a Lamborghini, or as tough as a tank, but it still manages to be a little of both, the article said of "The Great American Police Car." 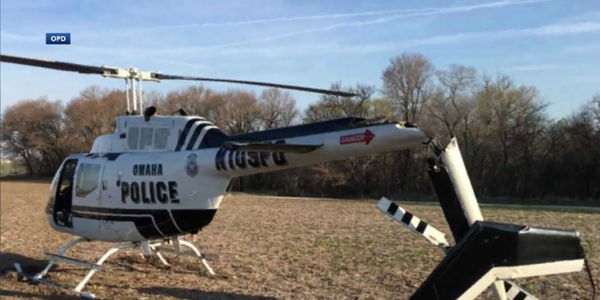 One officer was quoted as saying, "The patrol vehicle is actually the police officer's mobile office, and the smaller vehicles just don't' have the comfort that a larger vehicle does." 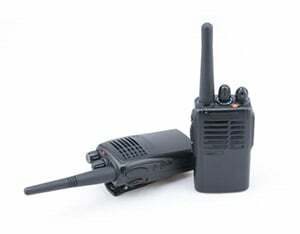 They would soon be replaced by sleeker sedans and then SUVs, which brings us full circle to larger vehicles for more gear—in addition to all the technological equipment officers now carry with them.